This week two events collide. On Wednesday, February 14th people will celebrate Valentine’s Day. It’s a day filled with love and expectation, and sadly sometimes a little sadness. Sappy love cards will be exchanged by young and old. Chocolate will be consumed in large amounts, and the price of roses will soar. “Be My Valentine” will be the mantra of the day. However, this year, another event happens on the same day—Ash Wednesday, also known as the first day of Lent. There is no better love story than the love Jesus has for you, me, and every person in this world. He loves, and He demonstrated His love by sending His only son to save all those who would believe. How do we show our love to the One who is love? It’s pretty simple. We love Him. We spend time with Him. We trust Him. There’s also one thing that He asks of us that we don’t usually associate with love. He asks that we share His love with the world. We don’t always like to share the things we love with others. A couple of years ago the Lord asked me to spend some time with Him during the Lenten season. His purpose? He wanted me to sit at His feet and learn a little something more about who He is. That season truly changed my heart. The more time I spend with Him, the more I can love others and see others as He sees them. I think we need to highlight true love more this year…but not the kind of love that is temporary or fake. We need to emphasize the unconditional love of our Father and the ultimate sacrifice of His son Jesus Christ. And, did you know that Easter falls on April Fool’s Day this year? It’s a weird twist in the calendar this year for sure, but I’m convinced God has a message in it. Much like Jonah warned the people of Nineveh they had forty days to repent before destruction, God doesn’t want anyone fooled or duped by false love this season. We’ve got to share the saving message of the Gospel this year, so people aren’t fooled come Easter. Praying your Lenten season inclines your heart to love Him and share Him, even more, this year. Pleasing in the Sight of the Lord? Get Rid of the Elephant in the RoomCelebrating Five Years of Ministry! The Battle Hasn't Ended It Has Only Just BegunTo the Fatherless...Are You Hurting Your "Friends"? We Reach Through LoveAre You Comfortable or Are You Content? Spiritual Disorder Brings Physical ChaosWhy Do You Share Your Faith? What is Your Community Lense? Be THAT ChurchWhy Lent?Set the Bar For Your DaughtersAre You Telling? It's Been A Week...Now What?Do You Need To Apologize For Your Anger? Our Yellow DoorForgiveness Bible Study VideoAre You a Member or an Owner? A Year Later...Stage Mom of the Year I Was Not...Who Wants to be a Part of That Firing Squad? So It's The Day After Mother's Day...Now What?What Percent Are You?Two's Company, Three's a Crowd...Who in the Church is the Odd Man Out? 8 Practical Tips for Tapping Into Your Light SourceBetter Days Are Ahead!Waiting on First Fruits?Preparing For The Harvest...This is WhyThis Is CommunityPreparing for the Harvest - What Does It Mean? 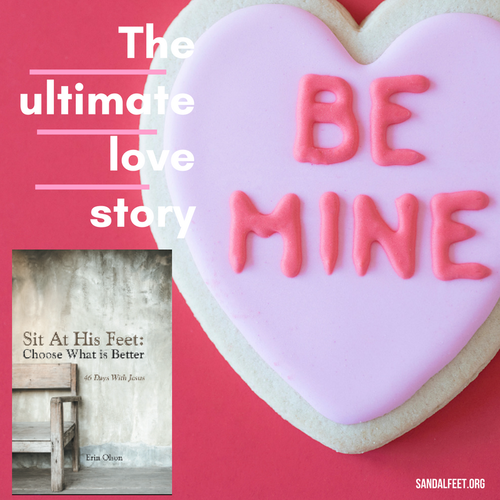 It Takes a VillageA Few Thoughts About the Starbucks Red CupThree Days of Prayer and FastingAre You In For Our Country's Sake?Sit At His Feet: Choose What is Better - Now Available in Print! God Has Blessed The Broken RoadChristians, please DO NOT do these things this weekend...Stand in the Gap! Do We Have Spiritual Warning Signals?Are You in the Middle? Is Today's Manna Really Enough? What's the Difference Between a Clinic and the Nile?What's More Important Than a Flu Vaccine?What's In a Name? It Can Happen When We Least Expect ItWomen Allowed....and Needed!How Will You Drink the Water? And This Is What I Learned While Swimming...With a SnorkelRacism IS Addressed in the American ChurchHmmm....He Just Called Me a Whale! Asma - Such a Time As This40 is the new 28! Did You Really Learn All You Needed to Know In Kindergarten? Oh No She Didn't!My conversion from pro-choice to pro-life...Correction to 2/9/12 postWhat is your Vision/Mission?Severe weather warning!Are you tuned in? Hoarding - It Is Not Always Just About StuffHeroines of the FaithPray for the motherless on Mother's DayI'm Sorry...Did You Just Call Me A Trophy Wife? Chase the Lion!It's no vacation in Vacation Bible School!Pssst...WEgo, do YOUgo? I Am Definitely Not an Adrenaline Junkie!